Emphysema is a progressive lung disease that is classified under a broader category of respiratory disease called Chronic Obstructive Pulmonary Disease (COPD). Cigarette smoking the main cause of emphysema, but in some cases, individuals may develop emphysema as a result of long-term exposure to toxic gases, chemical fumes or toxic dust including asbestos fibers at the workplace. Polluted air and secondhand smoke are also attributed to the development of emphysema. In this condition, the walls of the small air sacs called alveoli in the lungs break down, which makes it bigger and less efficient in transferring oxygen to the blood. If you or your loved one has been diagnosed with emphysema, which can be linked to previous asbestos exposure at the workplace, get your case evaluated with our experienced attorneys who will help you recover the financial compensation you deserve. Emphysema affects a large number of people all over the world. The Global Burden of Disease Study conducted in the year 2016 reported 251 million people were diagnosed with COPD worldwide. Currently, COPD is the fourth leading cause of death globally and the third leading cause of death in the United States. The estimates from the WHO suggest that COPD is going to be the third most common cause of death globally by the year 2020. A study published in the Journal of Occupational Health in the year 2004 evaluated the relationship between asbestos exposure and emphysema by performing high-resolution CT on 600 participants (construction workers with a smoking habit and a diagnosis of asbestos-related disease). The study concluded that emphysema was more common among workers with asbestosis and a history of heavy exposure to asbestos. A vast majority of COPD diagnoses are linked to smoking but sometimes advanced age and past exposure to dangerous asbestos fibers have been thought to be the cause of the disease as well. It is to be noted that although asbestos exposure is not a direct cause of COPD, it does elevate an individual’s risk of developing COPD. Moreover, patients with COPD already have a weakened respiratory system that makes them more susceptible to asbestos-related lung diseases. COPD may develop as a complication in patients with asbestosis and pleural mesothelioma, both caused by asbestos exposure. In a Swedish study that included 316,729 construction workers, it was reported that the death rate due to COPD was about two and a half times higher in workers exposed to asbestos in comparison to those who had not been exposed to asbestos. In 2011, the Environmental Health Journal had published a study that revealed the fact that COPD due to occupational exposure to toxic fumes resulted in about 375,000 deaths globally in a year. The symptoms of asbestos-related lung disorders are quite similar to those of common lung illnesses such as asthma, pneumonia, and tuberculosis. This makes differentiating emphysema from other diseases very challenging even for experts in the field. Misdiagnosis is said to have occurred when emphysema is wrongly diagnosed as pneumonia or asthma. We encourage seeking a second opinion from a pulmonologist who specializes in asbestos-related diseases. This will certainly reduce your chance of being diagnosed inaccurately and treated inappropriately. Additionally, second opinions also let you have a more accurate diagnosis of your condition and thereby help you recover the rightful amount of financial compensation from asbestos trust funds. If you had been employed by industries that handled asbestos or its products during the past century and have received a diagnosis of emphysema, make sure you consult an asbestos attorney to initiate legal action as soon as possible. You may be eligible to file a claim from the asbestos trust funds of your former employer or else pursue an asbestos lawsuit. With an almost three-decades-long experience in asbestos litigation, our legal team comprising of knowledgeable attorneys will carefully evaluate your case to determine whether you qualify for filing a claim. If at all you are found to be entitled to financial compensation, our team will take care of the most complex aspects of the legal process including the preparation and submission of the required documents. This allows you to completely focus on your health and treatment. Till date, our law firm has succeeded in recovering over $1.4 billion as compensation for asbestos victims and will certainly be of help to you, too. It has been estimated that about 10% of patients with asbestos-related diseases develop the illness as a result of indirect contact with the carcinogen. This is referred to as secondary asbestos exposure and generally happens when a worker exposed to asbestos brings home the toxic fibers putting the residents of his home at risk unknowingly. Secondary asbestos exposure was highly prevalent before the 1970s among women who laundered their husband’s work clothes and children who often greeted their fathers while they returned home from the workplace. It is important to be aware of the fact that even the victims of secondary asbestos exposure who struggle with emphysema, a type of COPD may be entitled to receive compensation from asbestos trust funds. As the products manufactured by the company for which their family member would work were, in fact, responsible for their diagnosis, they will receive money from the asbestos trust fund set up by the employer in question, should they meet the eligibility criteria. The claims involving secondary asbestos exposure are challenging and for this reason, the assistance of a lawyer with good experience in asbestos litigation is essential to pursue such claims. Our team of lawyers performs a thorough evaluation of the case as well as does extensive research, and they also possess a broad knowledge of this area of practice which is needed for a successful outcome. Several victims of asbestos exposure do not seek legal assistance at all when they are alive due to various reasons including the fear of going through a tenacious process to receive compensation. Patients diagnosed with emphysema generally do not file a claim because they think their illness is not severe enough to deserve financial compensation. However, it is essential to get in touch with an asbestos attorney to evaluate whether you can claim your rightful compensation from one or more asbestos trust funds. With more than three decades of experience in handling asbestos litigations, our attorneys will evaluate your case and try to recover the rightful amount of compensation your departed family member deserved. Your involvement will be quite minimal as we will handle all aspects of the legal process. But, you will need to provide us with information related to the victim’s work history and medical records. If the products manufactured by the company at which your family member was working were found responsible for the victim’s diagnosis, then you will be eligible to receive money from the asbestos trust fund that was set up by the employer. However, filing a wrongful death claim should be done within the statute of limitation period, which is 1-3 years and it also depends on the state you belong to. 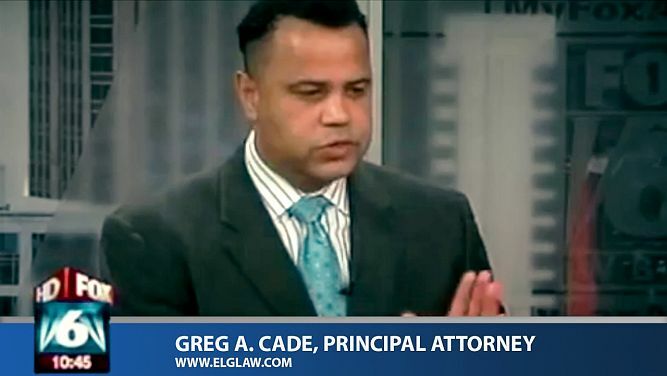 Therefore, it is necessary to seek legal assistance as early as possible for a positive outcome. At Environmental Litigation Group, P.C., we have represented over 230,000 asbestos victims till now and we are eager to help more. How Do We Handle Emphysema Cases? 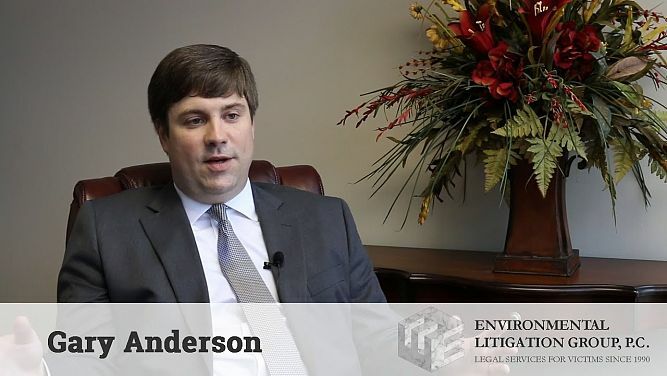 The Environmental Litigation Group has three decades of experience in handling asbestos-related claims including legal assistance and representation of patients who have been diagnosed with emphysema. When compared to other claims involving more serious asbestos-related diseases such as lung cancer, asbestosis and mesothelioma, the process of recovering compensation in emphysema cases is complex. We have a team of lawyers who are quite familiar with the legal processes involved. They will work in collaboration with medical professionals to help you receive the maximum amount of compensation possible. We undertake extensive research to collate all necessary evidence and additional information regarding the negligence involved in your case. We prepare your asbestos claim and submit the documents related to your employment and diagnosis to your former employers. Once your claim gets approved, within a period of six months, you will start receiving your monthly payouts from the asbestos trust funds. A study concluded that emphysema was more common among workers with asbestosis and a history of heavy exposure to asbestos. This page was last updated on April 10th, 2019 PST by Kevin McKie at Environmental Litigation Group, P.C.